If you want to hijack a dead celebrity’s identity to brand your booze, you could do a lot worse than Dorothy Parker, the caustic wit of the Algonquin Round Table and, by all accounts, a legendary drinker (with a taste for martinis later in life). 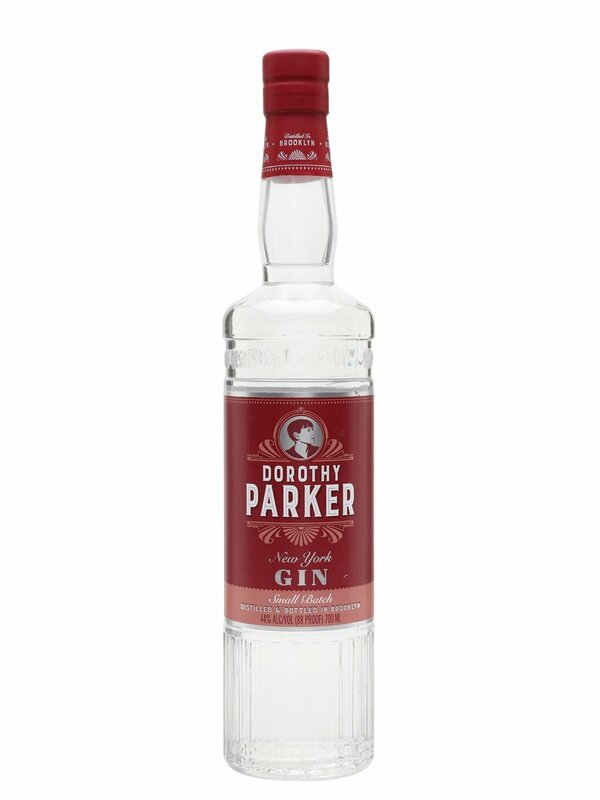 Dorothy Parker New York Gin (formerly Dorothy Parker American Gin) is a product of New York Distilling Company, and it is described as “a blend of traditional and contemporary botanicals including juniper and elderberries, citrus, cinnamon, and hibiscus.” The base spirit is distilled from corn. Ms. Parker’s gin is much less feminine than one would expect (or hope), offering a nose heavy with muscle and brawn, earthy, pushy, and weighted down by juniper and angelica, leaving it with a licorice overtone. The palate is similarly constructed, offering a surfeit of earth and wet tree bark, but also a hint of orange peel and rose petals — which is at least something. The finish, sadly, is sharp but undistinguished, coming across like any number of relatively ordinary, unbalanced gins on the market. Try it straight from the bathtub! Also, I’m pretty certain that she HATED gin. Scotch was her preferred drink.